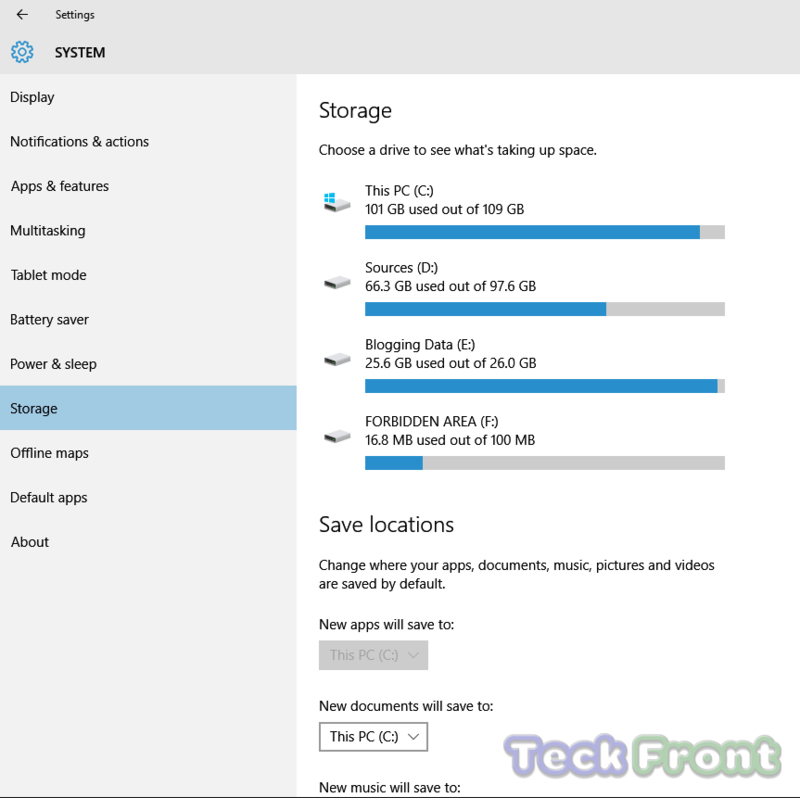 Windows 10 is optimized for low disk footprint and takes just 10GB of storage but, the apps installed can take much more space. Windows 10 has made it very easy to see how much free space is available across all your devices. Simply follow the instructions below and you will be able to see how much storage is available on your Windows 10 device. Now, navigate to ‘System’ > ‘Storage’ section. Here you will see all the disk drives of your Windows 10 PC along with external drives. The bars shows the total and used space of your Windows 10 device. Newer How to Set Size of Text, Apps & Other Items in Microsoft Windows 10?